You may know the importance of discounted gift schemes. But which discounted gift schemes are right for you? After a long career you’ve sold your business and are sitting on a pile of cash. You’re worried about inheritance tax. What should you do? Having more money than you need is the sort of problem many would like to have. The downside is that if your estate is worth more than the inheritance tax (IHT) nit rate bands, HMRC will take 40% of the excess. This won’t trouble you, but your beneficiaries won’t be happy. 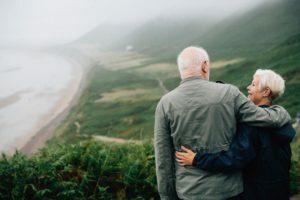 Giving away some of your wealth to your family and surviving the following seven years will reduce your estate for IHT purposes, but if there’s a chance you might need some of the capital there’s an alternative. Insurance companies market discounted gift trusts (DGTs). Unlike outright gifts to your beneficiaries, DGTs give immediate IHT savings to people who, while wanting income from their assets, don’t need the capital which produces it. Obviously, there is a cost involved. The insurance company will charge set-up fees and annual management charges to look after the scheme. However, the potential IHT savings will exceed these, which is why they are successful. DGTs require you to invest a lump sum which will be invested into an insurance bond. In return you’ll be paid an annuity. Typically, this will be equal to 5% per annum of the amount you invested as long as what you receive doesn’t exceed this it’s tax free (for up to 20 years). You can take a lesser or greater amount, but if greater you might undergo a health assessment. The bond you purchase is placed into a trust for the beneficiaries of your estate. The insurance company works out the current value of the annuity it anticipates it will have to pay you. Because this is always less than the value of the bond, the difference is “discounted” from you estate with immediate effect. You purchase a bond for £300,000 which is held in trust for your beneficiaries. You have chosen to receive payments from the trust equal to 4% (£12,000) of the bond’s value per year. Taking account of your age and health the insurance company estimates that the current value of the return is £180,000. If you had made an outright gift of £300,000 to your beneficiaries it would have remained liable to IHT until seven years had elapsed. However, because you’ve only given away £120,000 (£300,000-£180,000), it’s this which will count as part of your estate for IHT purposes if you don’t survive seven years from the date the bond was put in trust. Therefore there’s an immediate IHT saving of up to £72,000 (£180,000 x 40%. If you survive seven years the total cost of the bond (£300,000) will escape IHT. After your death whatever value is left in the bond is paid (tax free) to your beneficiaries. Find out how we can help you plan for retirement.